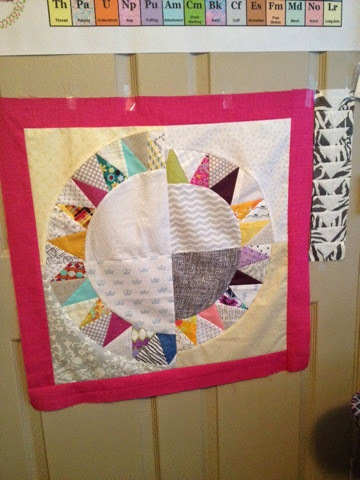 Last week my friend Angela came on to guest post about my week for Crystal of Two Little Aussie Bird's Modern Medallion. I was SO VERY thankful to have her help because I was in Michigan without internet! ACK! 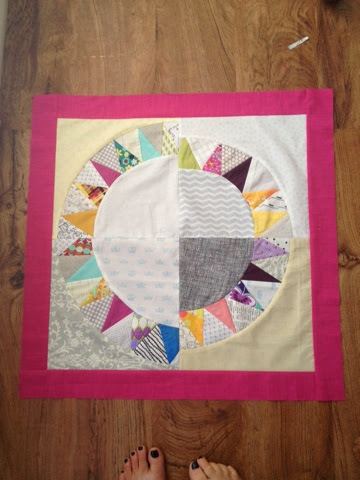 Lucky for me, Angela is not only a brilliant writer but she's also a brilliant quilter (and friend!) This week I am home and she is out of town. I added the Plain Jane border to my New York Beauty Contest medallion. I used a hot pink linen which I think looks really good. 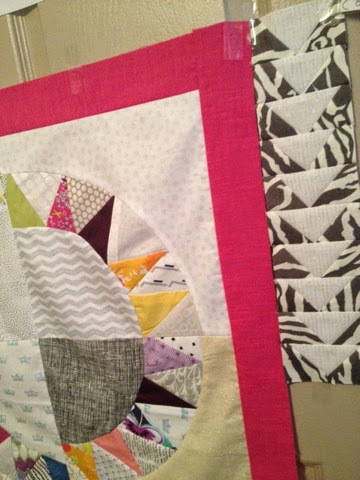 I'm still working on my Drunk Geese border, which is apparently quite a challenge for me! 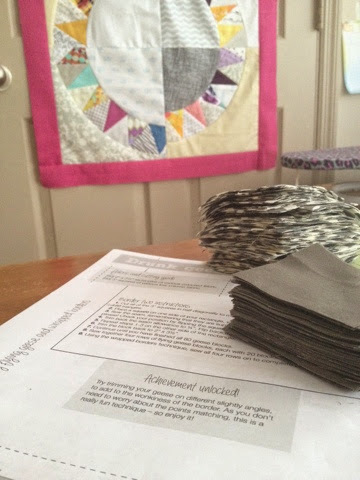 I cut 80 3" squares and 80 2 1/2"x3" rectangles and sat down to get to work. After a little digging, I came up with a piece of white linen with a silver tinselly thread stripe throughout. Perfection! 80 rectangles cut the right way AND NOW we're ready to get started. I do love me some animal print! Especially zebra! Anyway, check out Angela's post last week for the links to check out everyone else's progress. You should also definitely scroll through the #modernmedallion hashtag on Instagram. 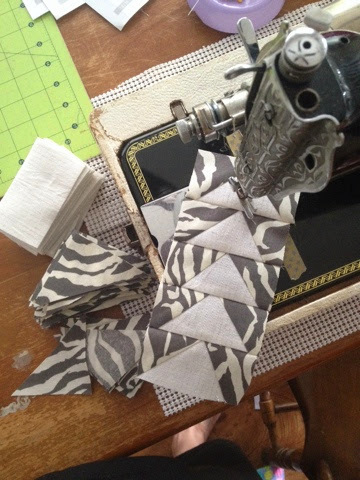 There are some seriously awesome quilts happening over there! I'll update during the week as I get the chance! The pink border is scrumptious and those geese will be awesome!